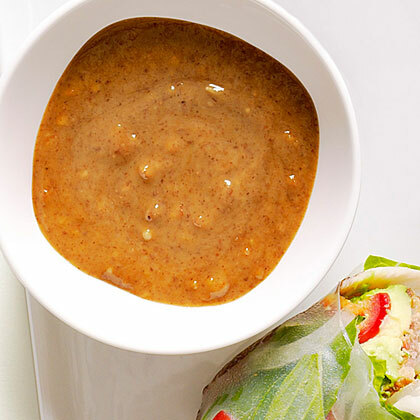 This dipping sauce, a variation on spicy peanut sauce, is terrific with "Crunchy Cucumber Summer Rolls." Whisk almond butter with 3 tbsp. water in a medium bowl; then whisk in hoisin, soy sauce, and lime juice. Season with salt if you like.